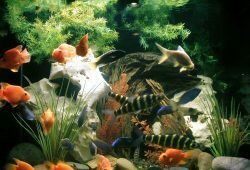 The article gives an analysis of UV Aquarium Sterilizer – The Different Lamp Types. Let’s do a quick recap on what we know about the UV Aquarium Sterilizer from the previous post. In a nutshell, a UV Aquarium Sterilizer functions by removing free floating micro organisms from the fish tank water by exposing them to high intensity ultra violet light. These unwanted micro organisms can be water borne bacteria, parasites, fungi, virus or algae. What happens is the UV light will alter the structure of the cells’ DNA, causing them to die. 2 Do UV Aquarium Sterilizer Really Work? 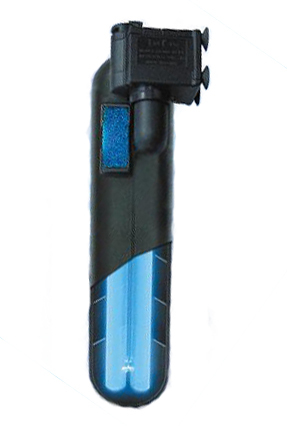 In general there are three types of UV Aquarium Sterilizer tubes being sold today. They are the tray type, tube type-wet bulb which is not lined with quartz, and tube type-dry bulb which is lined with quartz. The Tray Type UV Aquarium Sterilizer has the UV bulb suspended over a tray of slow moving water. They are cheap and easy to clean but can be a bit large and ackward for smaller tanks. The Wet Bulb UV Aquarium Sterilizer type is dipped into the water and has the benefit of having the water on all sides exposed to UV rays. Plus the fact that it is relatively inexpensive. But be careful of electric shocks, so turn off the UV aquarium sterilizer if you plan to dip your hand in the tank. The Dry Bulb UV Aquarium Sterilizer works just like the wet one, only this time it has a quartz tube that insulates it. They are more expensive but a lot safer to handle. They are also easier to clean than the wet bulb and easier to replace the bulb itself. These tubes also come in various wattage, depending on the size of the fish tank that you intend to fit it in. As a simple guide, 4-8 watt tubes are recommended for 20-40 gallon aquariums, 20-25 watts for 50-100 gallons, and 40 watts for larger aquariums. Do UV Aquarium Sterilizer Really Work? But does it really benefit the aquatic life in the fish tank? Herein, again lies a controversy that is yet to be agreed upon. 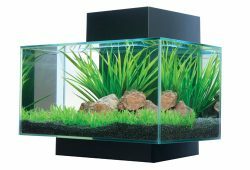 While there are a lot of fish breeders out there who feel that a UV Aquarium Sterilizer is an absolute must if you plan to have a pristine tank, there are also those who feel that it is a waste of money, or only suitable for tanks with fish only, or that it has adverse effects on other more sensitive aquatic life in a salt water fish tank. 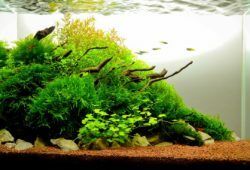 From my experience, as long as the aquarium is well maintained and not over crowded, has efficient fish tank filters and has a regular cleaning schedule, then it might not be too necessary.